I'm going to preface this post by saying that I never thought I'd be one to post about food. I think the only other time I've talked about food was in reference to my inability to make it in general. Along with that, I had posted a picture of a cake that I successfully made (even if I couldn't eat it myself since I'm a member of the trendy "GF" crowd, albeit not by choice). Anyways, since then I've become a tiny bit more adept in the kitchen. The above picture is of a polenta salad I made from a recipe on A Beautiful Mess. It was a success (second time I've made it! ), and it was delicious. But I think the thing I loved most about it is how pretty and colorful it was! 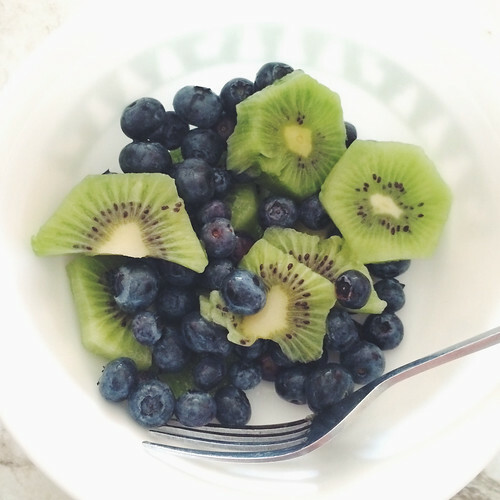 I enjoy food even more when it is colorful and just looks beautiful. This may be a fairly new development for me, which I think is partially due to my long history with food intolerances. I'm finding that these days I'm much more appreciative of the foods I can eat instead of getting bummed about the foods I can't (the biggest offenders being wheat and dairy). I'm also excited about my green pepper that is just about ready to be picked! I see a stuffed pepper in my future! What about you guys? What foods make you smile? 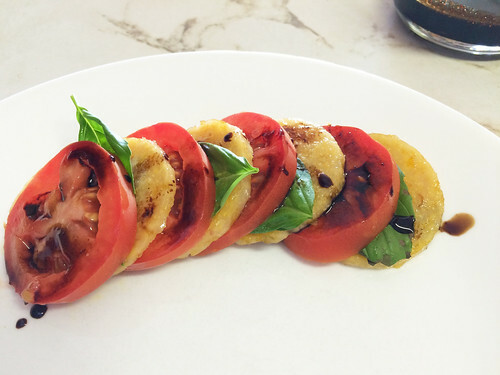 How interesting to use polenta circles to put with the tomato slices. It must have been tasty! My favourite foods are often vegetable based and I love trying out new dishes. The poletnta salad looks good! My husband is also a member of the trendy GF crowd - not by choice either, so over the past few years I had to get familiar with new meal ideas. Luckily he's not a picky eater! Can't wait to try out my polenta!